The wisdom of the Catholic Church is timeless, yet timely. It is of the ages, but also for this day. 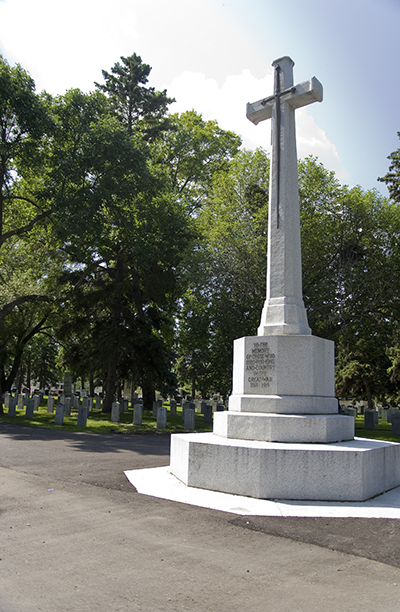 In a context of faith, with its promise of eternal life, the Archdiocese of Edmonton Catholic Cemeteries will help you make careful and informed choices that will respect Christian funeral and burial traditions, as well as reflect your contemporary preferences. Our daily ministry and work is serving the nearly 1,000 individuals and families who are placed in our care annually. With our long experience and special philosophy, we are capable of guiding your at-need or pre-need funeral and burial arrangements to express something ever ancient…yet ever new. Your Catholic Cemeteries offer a variety of burial options and services within our Cemeteries and mausoleum programs. While respecting your preferences — personal, family, emotional, financial and spiritual — our Family Service Advisors will guide you with a full, unhurried, in-depth disclosure of our burial options, services and products so you can make prudent and informed choices.